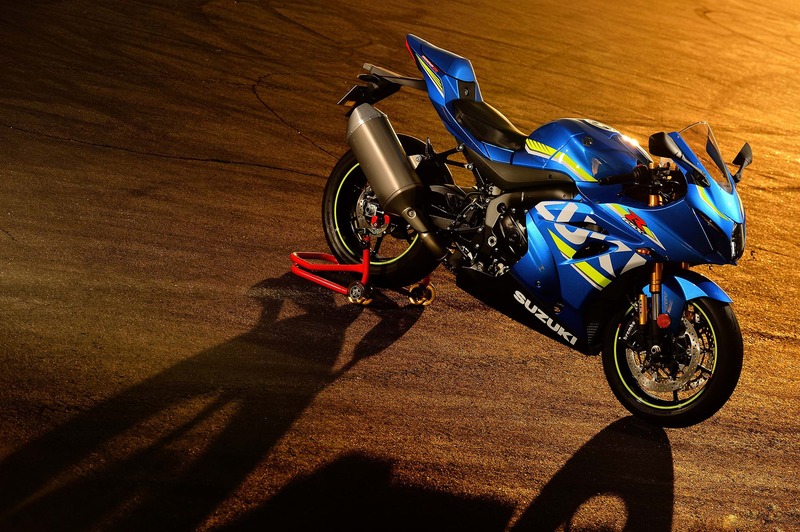 The latest GSX-R1000 now has a year and a half under its belt, and has taken race wins, championships, and even won last year’s Senior TT on the Isle of Man in its debut outing at the world-famous event. But the story that gets us to this point - a race-proven machine that boasts MotoGP-derived technology and a suite of advanced electronics - starts over 30 years ago, in Hamamatsu, Japan. This is part two of the story. While the 600 and 750 went into the middle of the decade unchanged, the GSX-R1000 K5 reasserted itself at the top of the sportsbike pile. So popular was it that it's still a renowned model today, and powers the current GSX-S1000 super-naked. 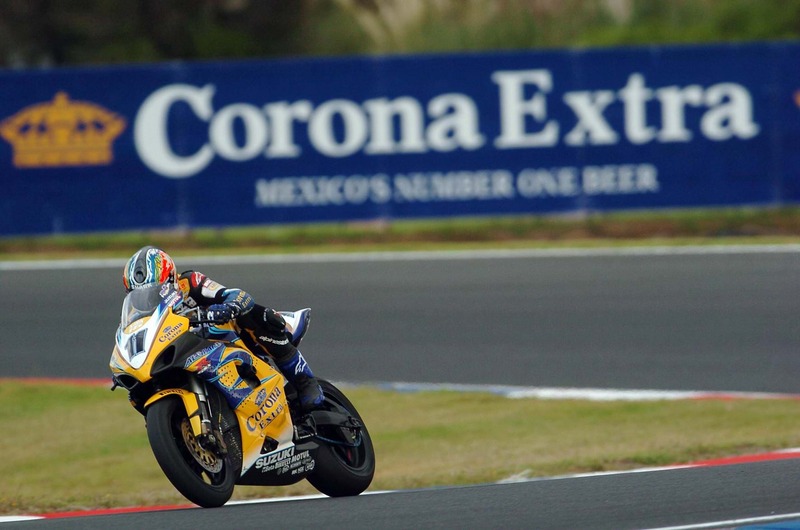 It immediately went out and won the World Superbike Championship in the hands of Troy Corser, and in the AMA Matt Mladin took another title win for Yoshimura Suzuki, before Ben Spies won three titles on the bounce for the same team. The K5 GSX-R1000 set a new precedent in sports bikes - the K5 produced 176bhp with a dry weight of 166kg: a power to weight ratio of over 1bhp per kilo. It benefitted from a new frame and modified swingarm, while rake and trail increased with the wheelbase shortened by 5mm. New brake discs and a radial master cylinder increased the stopping power, while the redline was raised by 1000rpm with help from lighter pistons and titanium valves. It became a hit with the press and customers alike; fast and focused on the track, yet somehow elegant and well mannered on the road. MCN's Michael Neeves wrote in his launch report, "Riding this GSX-R1000 is still the raw, electrifying, trouser-tightening experience it ever was. It's just that, in Suzuki's search for more power and better handling, they've made a road-going superbike that's so easy to ride." He went on, saying, "The GSX-R1000 always had low and midrange stomp to shame its revvier rivals, but its now even more impressive. On 20 years of the GSX-R, Suzuki has shown that you can have your birthday cake and eat it." It was also the winner of Bike Magazine's group test, before it went on to take the best of the best crown a year later, when the winners of all the magazine's group tests went head to head. 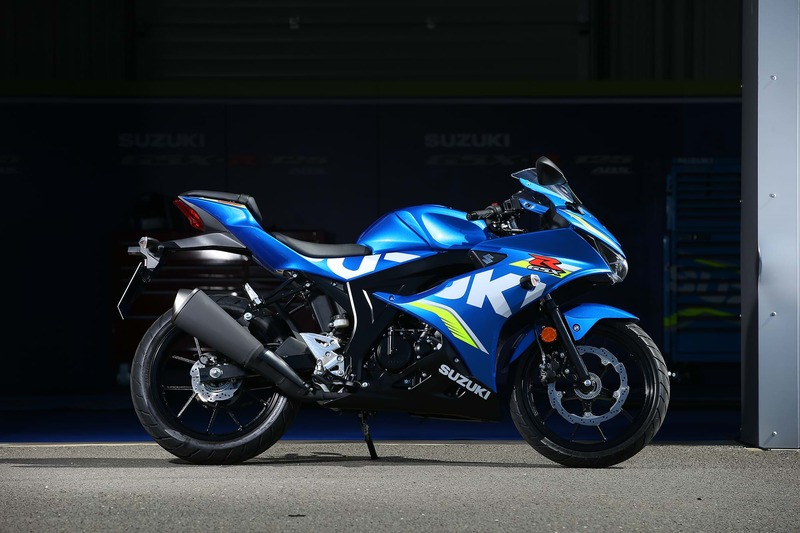 For 2006, Suzuki poured more MotoGP technologies into the GSX-R750 and GSX-R600 in possibly the biggest shake up to the models since the 1996 and 1997 machines. The bikes were made to feel lower, with a lower centre of gravity. The 750's bore and stroke also returned to dimensions of the 1985 model, making it a more road-friendly bike in the bottom end and midrange, but advances in technology and knowhow meant it still revved faster and higher than it ever had done. 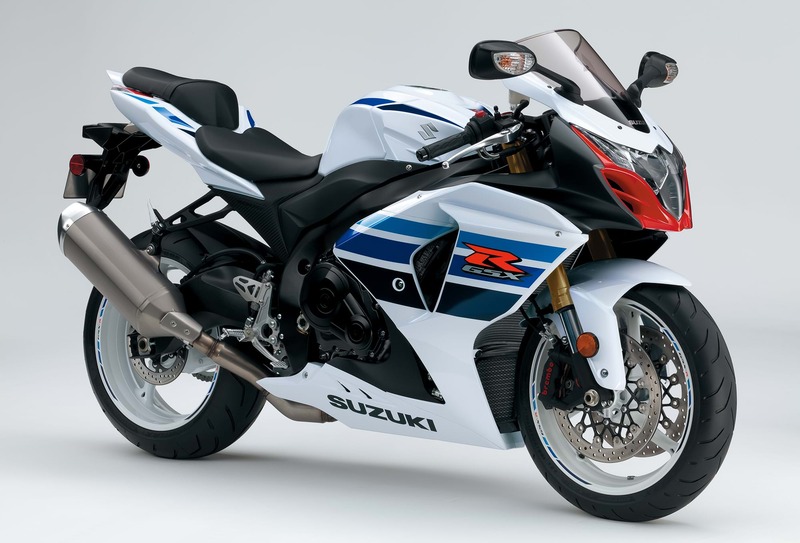 The GSX-R600 got the same treatment, and sold 1,970 units in the UK. 2007 saw the introduction of Suzuki's Drive Mode Selector, as the GSX-R1000 underwent more changes. The new handlebar switch, now standard on all GSX-Rs and the Hayabusa, gave the rider a choice of three power delivery modes. Mode A gave full-on engine mapping, while B and C made it progressively softer. It also benefitted from a new frame to aid in mid-corner feedback. And during the bike's launch at a national dealer open day, Max Biaggi won the opening round of the World Superbike season, with the race streamed live in everyday dealership. 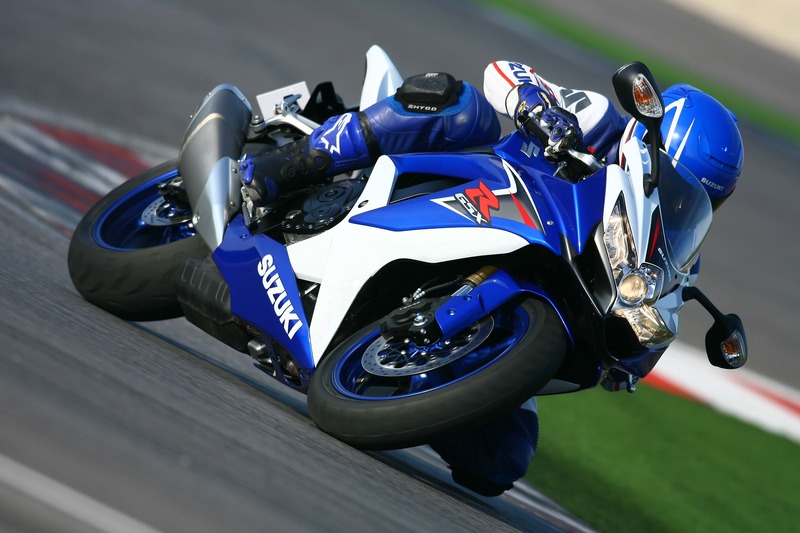 The GSX-R1000 and GSX-R750 remained unchanged in 2008, with focus and updates aimed squarely at making the GSX-R600 an even better road and track tool. It became, according to Bike Magazine, "The understated choice of a holistic, road riding 600 pilot." The 600 benefited from a new exhaust and better crankcase ventilation which when combined with improved fuel injection, boosted power significantly. The suspension was revised too, along with the brakes and a set of lighter wheels. The K9 and L0 GSX-R1000s marked the turn of the decade and they moved the GSX-R1000 on in its development once again. Like the changes to the 600 the previous year, the 1000 found itself benefitting from an entirely new engine, chassis, suspension and brakes. Being a 1000cc sports bike, the changes were all developed on the race track. But what it still retained was its road bike manners. Bike magazine claimed, "It has the most legroom, the plushest seat and the most effective screen in its class." Traits that the GSX-R1000 has carried with it since. The GSX-R600 and GSX-R750 launched in 2011 pushed the supersport market another step further, with the GSX-R600 winning MCN's middleweight sportsbike of the year award in both 2011 and 2012. MCN's Michael Neeves, who attended the launch of the GSX-R600 at the Almeria circuit in Spain, gave it five stars out of five in his verdict, and after just a few warm up laps noted, "GSX-R traits are immediately clear: the throttle response is flawless, the gearbox and clutch are smooth and the ride quality is nice and plush." But after lighting it up and pushing on, he also describes how "the Brembos bite hard and confidently, while the forks offer a pleasing amount of resistance as they dive. They give you an overwhelming sense of feel through the bars and into your hands." Changes to the GSX-R600 included new Brembo monobloc calipers and Showa Big Piston front forks. A newly designed aluminum-alloy, twin-spar frame featured a lightweight and shorter-wheelbase design. The bike got a 9kg weight reduction over the old model, achieved by engineers reviewing and optimising the rigidity balance of each and every piece of the machine. More MotoGP technology was also thrown at the GSX-R600, which reduced internal mechanical losses and resulted in stronger acceleration and low to midrange torque. Neeves went on in his launch report, "Thanks to Suzuki's lack of weight and the engine's new found extra flexibility and willingness to rev, the new GSX-R has an impressive amount of punch out of the corners for a 600." The GSX-R600 was immediately entered into the British Supersport Championship where it took the title in the hands of TAS Racing and Alastair Seeley. The new GSX-R750 was launched a few months after the 600 with similar updates. MCN's Michael Neeves was again on the launch, describing it as "the perfect sportsbike for the likes of you and me and, if you're honest with yourself, as fast as a 1000 in the real world. It's tremendous fun, manageable and lets you feel like you're riding it, not it you." Martin Fitz-Gibbons was also on the launch for Bike Magazine, saying in his verdict, "the GSX-R750 still represents the perfect compromise." In 2012 the GSX-R1000 received similar updates to those the 600 and 750 benefitted from the year before. It was launched in Miami at the Homestead Raceway. In the same year, worldwide production of GSX-R topped one million units. Thay year, GSX-R mounted riders took championship titles across the globe, including in Australia, Sweden, and Poland. Josh Brookes would have taken the British Superbike crown on the conventional point scoring system, finishing every race and notching 20 podiums along the way. The 2012 updates to the GSX-R1000 were made to offer heightened engine and chassis performance as well as weight-loss for overall performance. Two kilos were lost over the development process and new monobloc calipers from Brembo to offer improved braking and reduced fade on track. Newly developed pistons with MotoGP derived technology reduced the moving mass by 11%, improving acceleration and response. The legendary GSX-R badge had at that point adorned over one million class leading motorcycles for over 25 years. To celebrate, 1,985 special edition GSX-R1000s would be made available worldwide, with special Brembo calipers, a paint job that harks back to the original style of the GSX-R, numbered top yoke, gold fork stanchions, red anodised fork tops and select performance parts. Each update and upgrade of the GSX-R range has moved the market forward and continued the GSX-R legend. A legend that is far from over, too. After the ‘1985’ special edition that served as a reminder of the original GSX-R to be produced by the Hamamatsu based firm, all three GSX-R models remained the same with only ABS being added to the 1000 in 2014 to meet new Euro safety standards. It would all change, however, in 2017. The all-new GSX-R1000 first arrived in production form at the Intermot motorcycle show in 2016, after a concept model was shown the year before in Milan. The new machine, officially released in 2017, was new from the ground up and offered in two versions - the standard edition and the ‘R’ - a hardened, track focused version with more features than the standard motorcycle. For the first time in the company's history the new bike featured all mechanical VVT technology - variable valve timing derived from the MotoGP GSX-RR machine, allowing for a more linear and manageable power band throughout the whole range. A quickshifter and auto-blipper were added for clutchless shifting up and down the box. Lean sensitive traction control, Showa Balance Free Forks, Brembo monobloc calipers, ABS, launch control, and multi-setting traction control were among the new features added. With 200hp and a weight of just over 200kg, it is the fastest, hardest accelerating, best performing GSX-R ever produced. 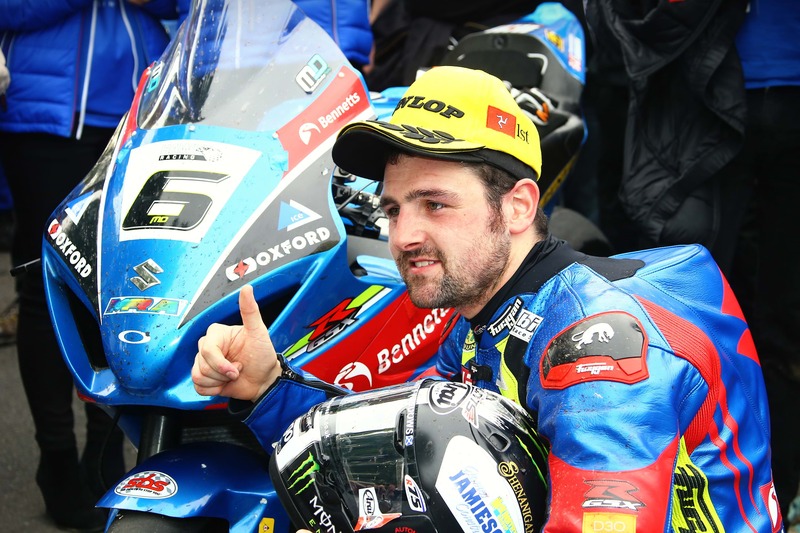 Michael Dunlop took the bike to victory in its debut year at the 2017 Isle of Man TT, winning the blue ribband Senior TT. It won in its debut year in the British Superbike championship, too, at the hands of Sylvain Guintoli, while class rookie Bradley Ray also took his maiden podium. Ray would also go on to win races in the 2018 season, securing a spot in the Showdown as he fought for the title. But while the GSX-R1000 was winning races, Suzuki was also creating a way for the next wave of GSX-R riders to enter the family, with the first 125cc motorcycle to wear the GSX-R badge. The brand new GSX-R125 was designed with the same spirit as its larger siblings, and while licence restrictions put ceilings on available power, Suzuki's desire to better its rivals was evident. While much of the competition uses SOHC single-cylinder engines, the GSX-R’s DOHC powerplant means revs are easy to come by, and - coupled with its extremely light weight - make it the fastest accelerating bike in its class. It's also the lightest bike in its class, too, and comes equipped with an LED headlight, easy start system, full LCD display and low RPM assist. Despite being over 30 years in, the GSX-R story is far from over.